**Please note that this curriculum is a digital download. It is currently not available in hard copy. 2) I’ve added a printable Alphabet Notebook. Before, the Alphabet Notebook was just a spiral-bound notebook from the store. 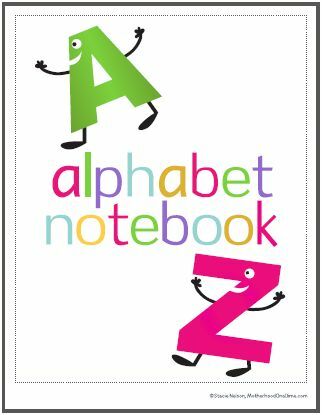 Now, there are 53 printable pages to add to a binder to make the Alphabet Notebook. 3) I’ve added a printable Notebook Cover. At the end of the year, I pulled all of my daughter’s worksheets, projects, and artwork into one big notebook. I wish I would’ve started it at the beginning of the year! I added a printable cover in hopes you’ll begin building a notebook right from the start! 4) I’ve added printable map pieces for the “Treasure Map”. You can still have your child draw their own map pieces, but I thought these would be nice for younger students. 5) Access to a printable lesson planning template. 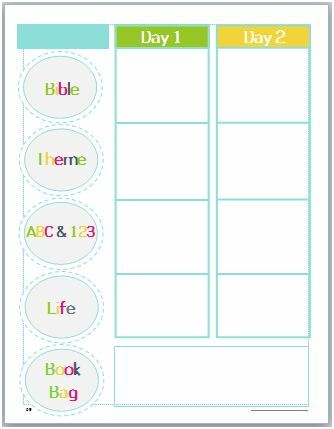 I’ve included a printable lesson planning template in the download for those of you who would like to add more of the Bible stories or do some other lessons. 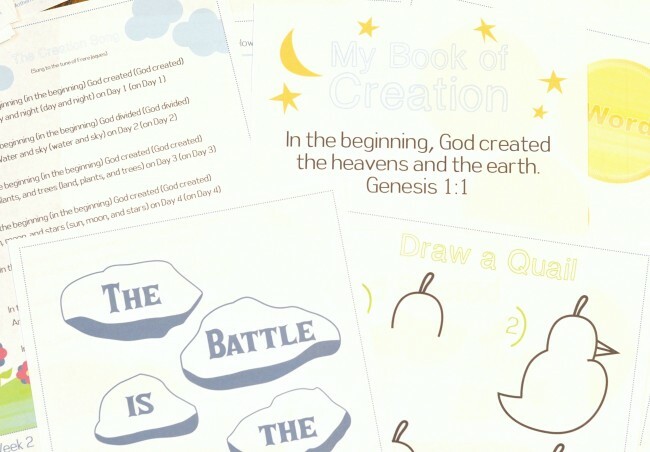 6) A few more extras include: a preschool assessment form, a Bible story chart, Certificate of Completion, and basic instructions to get you started. Plus: All of the units are in one download. You get 192 pages in one single package (be prepared–it may take a while to download)! 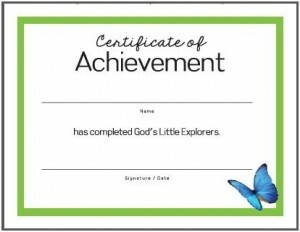 Access to God’s Little Explorers Facebook group. When you purchase a download, you will receive a link to join our private God’s Little Explorers Facebook group. It will be a place to share ideas, ask questions, or make suggestions. This group is only for those who have purchased the download–not for those using the free curriculum. The price breakdown is just $0.72 per weekly lesson. What else can I say?!! I poured my heart and soul into this project, and I’m hopeful you’ll find it worth the $0.72 per lesson (at $20 retail price)! 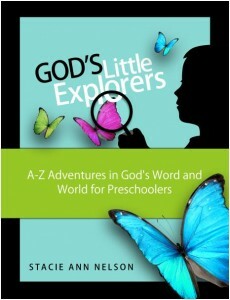 Proceeds from the sale of God’s Little Explorers will be used to fund the building of an orphanage in India. Last January, I renewed my passport, because I believed I was supposed to go to India. I was getting prepared! In the meantime, I found out about a family our church is already supporting in India–and learned about the AMAZING project they have started. They have plans to construct an orphanage that will hold almost double the number of girls they are able to take care of now. That’s when I knew…I wasn’t going to visit India (at least not yet). Instead, my “mission trip” is to raise funds to help build an orphanage. The project can’t begin until they’ve raised the necessary funds, and you and I can be a part of that! This family is truly incredible, and they’ve taken 19 girls into their home. I’m so impressed by how it is run–not like a traditional orphanage–but more like a family. It is truly a safe and loving place for these girls. 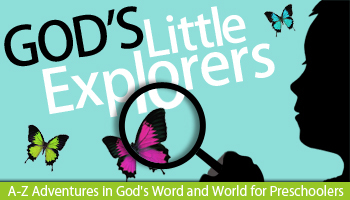 My greatest hope and prayer is that the proceeds from God’s Little Explorers would help give more girls a family. It brings tears to my eyes to even think that somehow God would have a part for us to play in this story. I consider it a great honor and privilege! No pressure here, but I would also be incredibly grateful if you would consider sharing, tweeting, or pinning this page. If each person who visits this page would share it with just one other person who purchases the curriculum, we would have the funds to build the home in less than a week!! There are 28 weeks of lesson plans. The alphabet is not presented in order. Instead we traveled through the Bible from Genesis to Revelation in 28 weeks. Because of time constraints, some major stories were skipped over, but I’ve noted them and given you an opportunity to share them with your child. Also, I know that some people would rather the alphabet be presented in order; however, I would much rather my child grasp the idea that the Bible is a connected story from beginning to end. If your child knows the traditional alphabet song, they will be fine and eventually know their letters in order. I promise it won’t bother them at all to learn the letters “out of order” unless it bothers you! If that’s the case, you’ll probably want to find a different curriculum! I focus on teaching lowercase letters first (see why on this post I wrote about teaching your child to read). 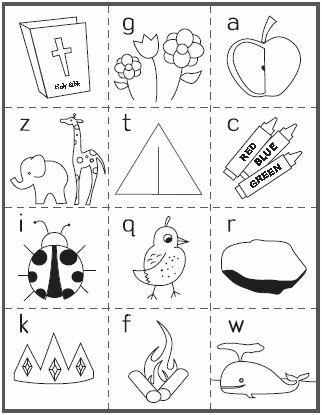 If your child already knows lowercase letters, feel free to add capital letters, too! You can begin whenever you desire (although I would recommend starting so that weeks 13-14 fall in December. This should happen if you begin the program the first or second week of September). I’ve made the lessons fairly simple and used items you can easily find around the house. There are some projects that require a little more preparation though. It’s mostly hands-on and active. Feel free to use one, two, three, or more of the ideas each day. Just like any lessons or curriculum, modify them for your needs and your child’s needs. If you do everything in the plans, you will spend approximately 20-45 minutes per day on focused instruction. This curriculum was written for ages 3-4, but it can be easily adapted for 2-year-olds or 5-year-olds. There are four main parts to the program: 1) Bible Adventure: This is the time to read the Bible story, sing any recommended songs, and do a related craft or project. 2) Theme Adventure: During this time, we explore the theme with crafts, science projects, cooking projects, and so forth. 3) ABC & 123: This time specifically introduces an alphabet letter. We also explore colors, shapes, and numbers during the year. 4) Life Skills: Preparing a preschooler for life is much more than teaching them the ABCs! Each week, we review various self-help skills, learn to complete chores correctly, practice manners, and do a service project. I’ve also listed additional activities you can use to substitute for ones you might not like or have time to complete. Two other optional sections: Book Bag: I list books to go along with the theme and sometimes suggest an activity to be completed around the book. Learning Bags: These are my version of busy bags. I use these when my little ones need an independent activity to work on while I work with my older daughter. I share links to some you can create to have on-hand and use when desired. You can find a sample lesson here. You can also find the list of every unit included in the curriculum here. First, you can purchase the curriculum here! Next, purchase a children’s Bible and basic school supplies. I do highly recommend the Read And Learn Bible and Wee Sing Bible Songs CD and Book Edition. We used those on a weekly basis. You can see all recommended supplies here. Finally, visit your local library or purchase a few books to go along with the themes, and you’re ready to go! Please email me with any questions (motherhoodonadime at gmail dot com) before you purchase! These next few items may sound harsh, but they are not meant to be (it isn’t my nature, but I do have to be straight-forward here)!! Please note that this is a digital download, so no refunds will be given. These are copyrighted plans, so you may not share this download with others. You may not sell these plans or host them on any other website or file-sharing service. You may print copies to use for your immediate family (unless you purchase the group version which gives you rights to make copies for your group). All rights are reserved. Also, if you are interested, you can sign up to be an affiliate here. Thank you so much! May you have a wonderful year completing this home preschool curriculum! Make some memories exploring God’s Word and world with your preschooler!